Mid-June was a busy time. 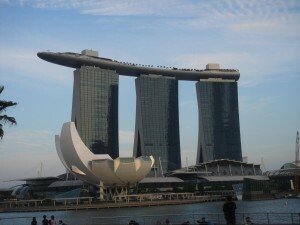 2 Internet events was held in Singapore consecutively. 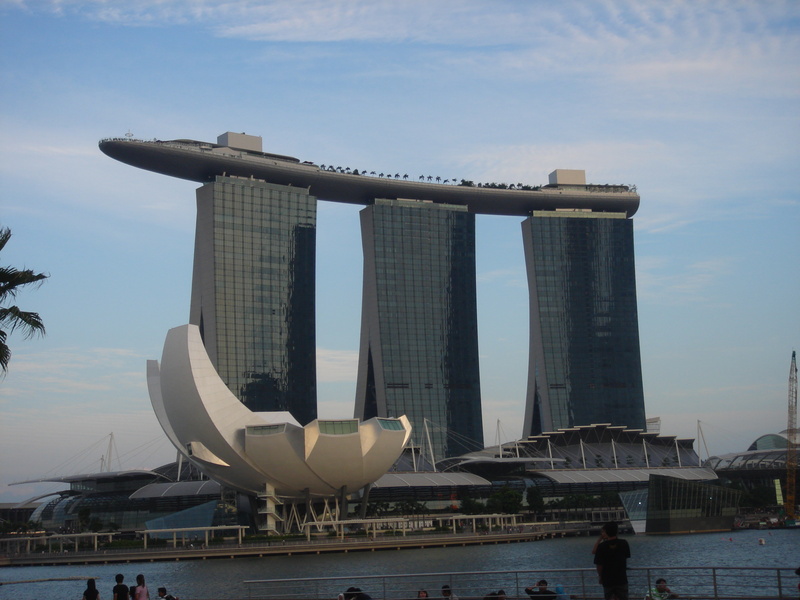 The 2nd Asia Pacific Regional IGF was on June 15-16, 2011 in Singapore Suntec Center and ICANN meeting was on June 19-24, 2011 in Raffles Place. Regional IGF was a policy discussion form involving a couple of stakeholder groups. Although few local participants joined the event, the Regional IGF attracted many overseas visitors. Prof. Xue chaired the plenary session “Anti-Counterfeit and Other Controversies” and managed to organize interesting presentations and discussions. The Anti-Counterfeit Trade Agreement would be a treaty to put in place new and higher international standards on intellectual property enforcement. Apart from its obvious TRIPS-Plus nature and forceful use of ISPs as private police, ACTA reveals a couple of critically important aspects that deserve careful scrutiny from the perspective of Internet Governance. ACTA’s plurilateral and closed negotiation process directly goes against the multi-stakeholder and open and transparent participation principles developed for Internet Governance. ACTA’s narrow focus on intellectual property rights ignores human rights concerns, especially free speech and access to the Internet, that are essential in the information society. ACTA demonstrate the temptation to shift from the existing multilateral WIPO-WTO regime to a more restricted and opaque system to enforce the private exclusive rights on the global information network. In addition, other domestic (such as US Bill “Combating Online Infringement and Counterfeits Act (COICA)”) or private (such as ICANN’s trademark measures in new gTLD process) enforcement measures for intellectual property will exert significant global impact. The session intends to have a vivid discussion on all these interesting issues in the most populous and economic-booming region of the world. Speakers included academics, businesses and technical community from US, Switzerland, Hong Kong SAR, New Zealand and Malaysia. a) Specific legal initiative, such as US new legislative initiative, especially protecting IP to use domain name system to enforce intellectual property rights. Intermediary liability has always been a big issue for the development of internet, cloud computing and its impact on intellectual property. b) Obviously, our focus of discussion has been on anti-counterfeit trade agreement. The forum shifting from multilateral to plurlateral, and the local response to this ACTA negotiation process. A couple of lessons learned from the discussions. Lesson 1 is that most people agree on the process for making IP law or policy should be opened and transparent. The secrecy of ACTA negotiation is really the wrong way to presume the IP interest and will not balance the whole system. Lesson 2 is that internet property should be updated and refreshed. Internet property was created after industrial revolution and international IP regime has been going on for more than 100 years. However, we are now facing the new business model, new media environment and especially the new way of life. In order to make intellectual property effective, internet, in our new social media environment, to make it relevant to our real life, and need to be remixed, and recreated. Intellectual property is supposed to protect creation and stimulate originality. It should be able to be creative by itself. It should not be stifled and refused to respond to new business and media environment. Lesson 3 is that we believe intellectual property is only a link of the whole social life, so it should be accessed in a wider context and take into account the impact on consumer protection, on business competition and especially on human right protection, including but not limited to privacy and free speech. Prof. Xue was also panelists of the other two parallel sessions, i.e. ICANN and New gTLD and International Law Enforcement. The conference materials are on the website. 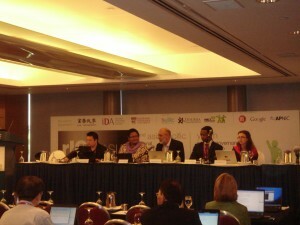 ICANN meeting in Singapore immediately followed the regional IGF. After more than 10 years’ debates and 6 years’ policy making and despite pressure from GAC and USG, ICANN Board finally approved the new gTLD program around 12:00pm on June 20, 2011. Few people applauded at the decision but many others were too tired and fed up by the long process to be excited. Prof. Xue raised a visionary question at the Public Forum but was interrupted by the stepping down Chair of Board who seemed wanting to spend most of the time ceremonially, well for his friend. The question is about the implementation of the so-called trademark clearing house. Not only non-Latin trademarks could be excluded as “device marks” by a database operators who know nothing about the trademark scripts, but the trademark service providers without knowledge of Chinese language would deem the domain names in simplified characters not visually similar to the trademark in traditional characters, vice verse. It seems the very technical variants table would have to be referred by both the database operator and verification center to prevent “variant-squatting” in new gTLD process. Unfortunately ICANN Board did not have the chance to listen to such important view. The WIPO Seminar was held in May 25-26, 2011 in Bangkok. Officials from WIPO, Thailand, Korea , China, India, Philippians, Nepal, Pakistan and a few other Asian countries participated in the Seminar and briefed on the pertinent countries’ legal development of copyright law and intermediary liability. Generally, Asian countries, big or small, either have recently enacted or revised the copyright laws or are going to do so. It is noteworthy that the emerging powers or new economies in Asia like China and India are revising their copyright laws respectively, which could have impact in the international arena. Digital technology and free trade are the driving force for the new wave of law-making. The most interesting parts are the presentations by the Resource Persons (Legal Experts) invited by WIPO. Prof. Xue, as the only Resource Person from China, gave a presentation and participated in the subsequent discussions. Intermediary liability is a critical issues across the jurisdictions and legal systems. Given that no treaty law available on this issues (two WIPO Internet Treaties generally silent on this), a series of studies to exam the comparability and compatibility across the legal systems are very necessary. The three pillars of the liability, namely configuration, limitation (safe harbor defenses) and assistance obligations, are all evolving in Anglo-American common law, civil law, EU law and Chinese law. There are a rich body of statutes and cases available for the comparative study. It’s been raised in China whether web cache is caching, which may be eligible for safe harbor defense? Web caching, which has been existing from or before Google, is generated by spiders of search engines proactively, rather than triggered responsively by the request of the users, may have insignificant technical difference from caching. However, legally it would be very absurd to distinguish them. If web caching is not caching for the purpose of DMCA Sec.512 (d), what else would be more applicable? It is obviously “automatic storage” in terms of the Chinese Regulations on Right of Communication via Information Network. It is argued that the originator (or source of communicator) has lost the control of cached contents. But this is wrong again. Even for the responsive caching, the originate is still at the mercy of the caching system, rather than having the capacity of direct control. Distinction of the proactive caching from the responsive one can only distort the well-established defense system for the secondary liability. As far as it is automatic storage to improve the efficiency of transmission, it is the caching and should be directly liable for infringement. Otherwise, we have to take down the whole Google, Baidu, Yahoo and all the other search engines. The law-making and judicial practices should be fool-proved and not affected by the biased (for undisclosed commercial interests) minds. Also it is despising that many Chinese IP academicians are doing research based on indirect and outdated information. One guys boldly stated French 3-strike law (HADOPI) was struck out by the Constitutional Court “in May 2011″! How odds. Didn’t he know that that what was knocked out is the 1st Version of the Law in 2 years ago and the 2nd Version had long been passed by French Legislature a month later. The Law has been implemented for 2 years. Ignorance is absolutely the enemy of knowledge.